When a business is involved, a purchase or sale can be a complex process. Our firm has extensive experience guiding individuals wishing to buy or sell a business through the process from start to finish. 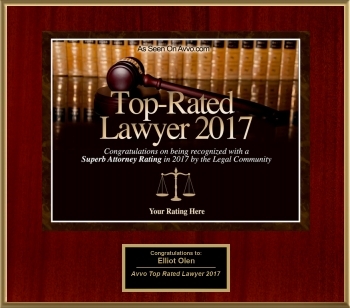 At the Olen Law Office, our attorney Elliot Mark Olen has decades of experience handling the full gamut of business and commercial law cases for clients. Whether your transaction involves commercial real estate, residential real estate, or multifamily properties, we can help. With significant experience in both real estate matters and business law matters, our firm has the expertise necessary to guide you toward a beneficial resolution no matter how complex your situation is. Contact us to discuss buying a business with a Bucks County business purchase and sale attorney. In these situations, due diligence refers to the process of investigating a company to gain a clear understanding of the company’s financial performance, reputation and community involvement. At the Olen Law Office, we take pride on our thorough research, careful investigation, and prompt client communication. Depending on the presence of a past relationship, it is not uncommon for individuals to proceed with the purchase of a business based solely on verbal agreements or handshake promises. No matter how well you know the seller, it is wise to consult with a lawyer to be sure that any financial irregularities or documentation inconsistencies are highlighted. If you have further questions regarding buying or selling a business, we encourage you to schedule a consultation at the Olen Law Office. We can be reached by calling 215-943-5343 or by completing our online contact form. To better suit your needs, we are able to conduct business online and we accept all major credit cards.